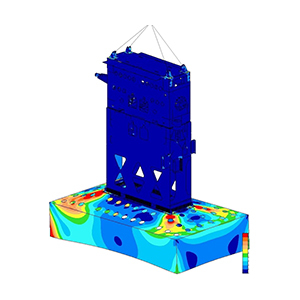 We have experience based on several thousand simulation models completed, each comprising of a number of load scenarios. 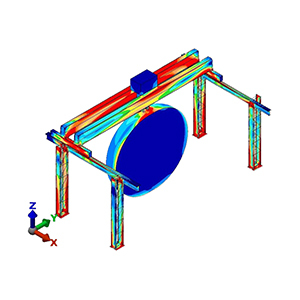 For many of these projects, tests were subsequently conducted. 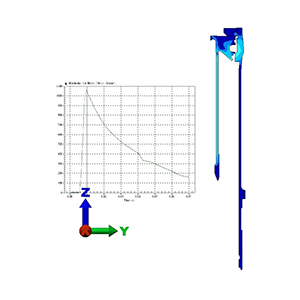 In all cases, the test results confirmed the accuracy of our analyses. 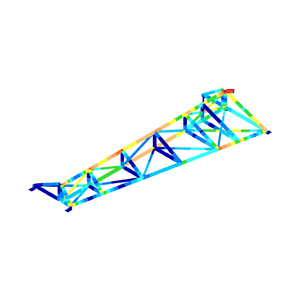 We always focus on the benefit for our clients and for many of our projects, this benefit is quantifiable, in terms of superior strength, longer life, less weight, reduced production cost or other measures. 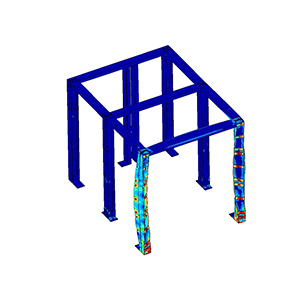 Please find below a small selection of our projects. 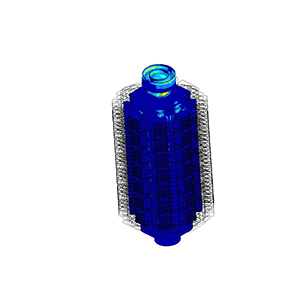 Kindly note that due to confidentiality reasons, we are unable to show many of our most interesting work. 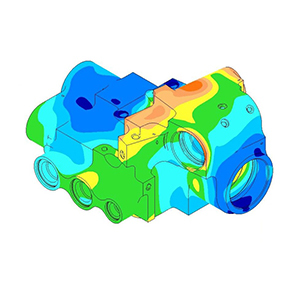 Please call us to find out if we have experience in the type of analysis you require. 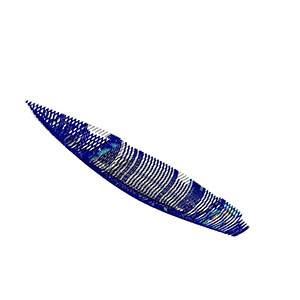 This page is presently being populated. 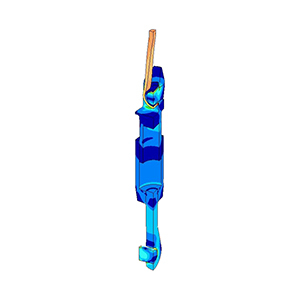 Please check back regularly. 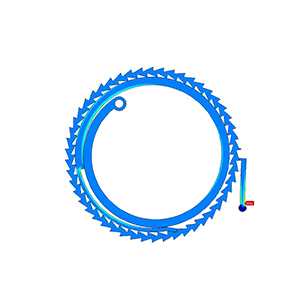 Quarter model of a peristaltic pump hose subjected to compression and internal pressure. 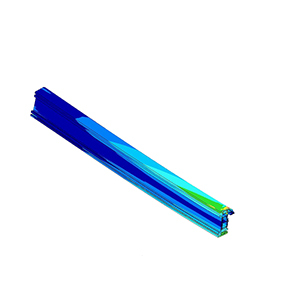 Fully non-linear analysis with hyperelastic material. 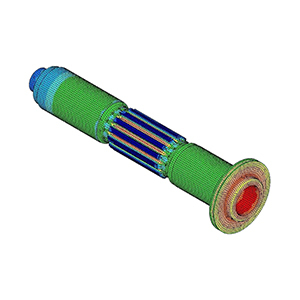 Based on results, recommendations made on hose shape improvements. 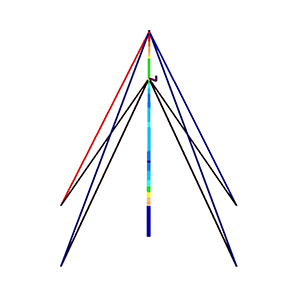 Non-linear dynamic analysis of a rather complex guyed mast subjected to a linearly increasing wind speed. 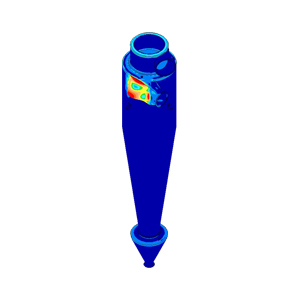 Spreadsheet calculations have been used to establish the wind loads which are depending on height and Reynolds’s number. 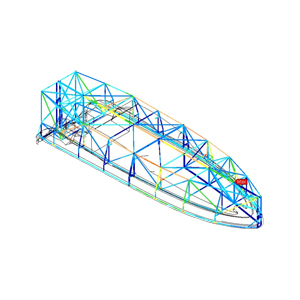 Snap-fit analysis of a newly developed fastener used to attach internal panels on cars and boats. 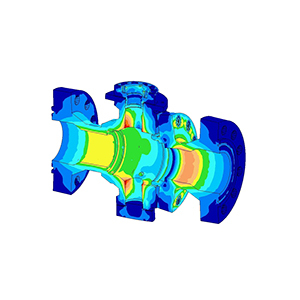 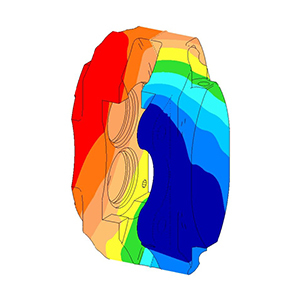 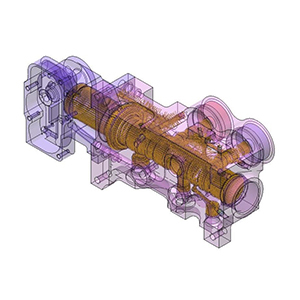 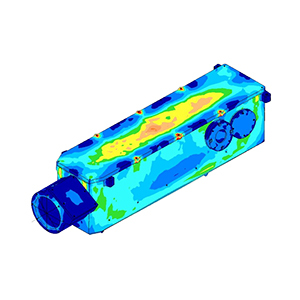 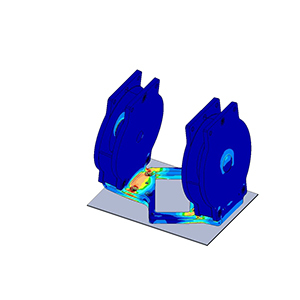 The FEA results indicated why the prototypes failed after a low number of cycles. 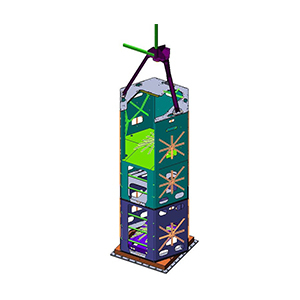 Based on the recommendations given, the design was successfully modified. 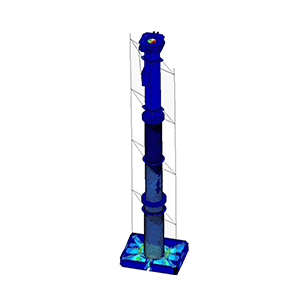 Pipe stress analysis of various sections of a steel plant water supply, subjected to loads including weight, pressure, thermal expansion and water hammer. 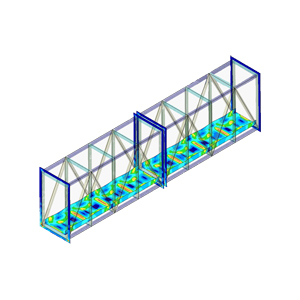 Based on the results, diameters, wall thicknesses and supports were modified. 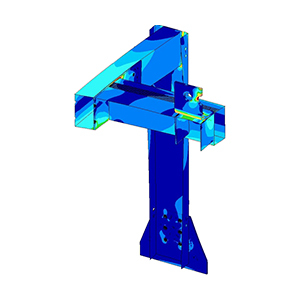 Due to the complexity of the loads, it took up to 4 iterations to achieve a satisfactory design. 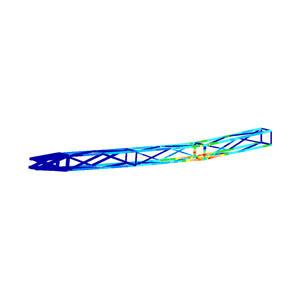 Drop test simulation of carrier frame assembly. 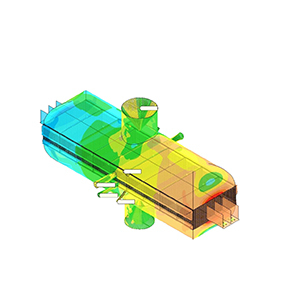 The results highlighted weaknesses that subsequently had been eliminated within just one design iteration. 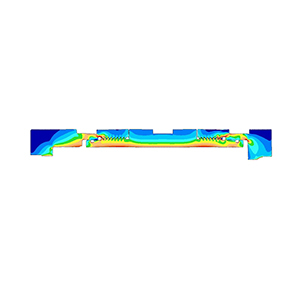 Flow and heat transfer analysis (CFD) of the air volume in an Autoclave. 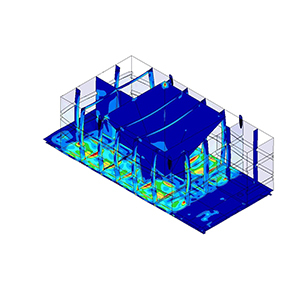 We completed this analysis within 3 weeks, as another consultancy contracted before were unable to provide results after 6 months. 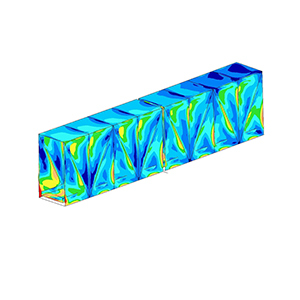 Recommendations based on our results helped to improve temperature uniformity. 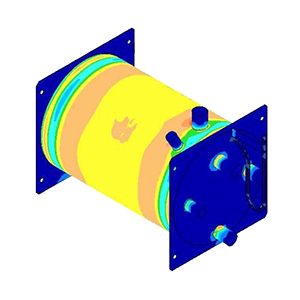 2D axisymmetric fluid flow analysis of an air sampler, subjected to air flow at different flow rates. 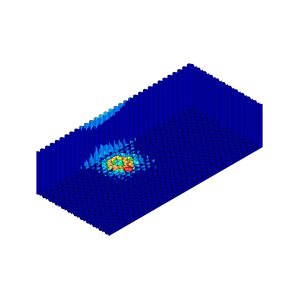 Particle tracking has been conducted to simulate dust deposition. 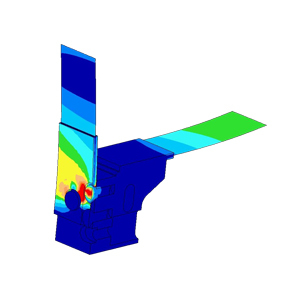 Recommended design improvements have been implemented and verified by a subsequent simulation. 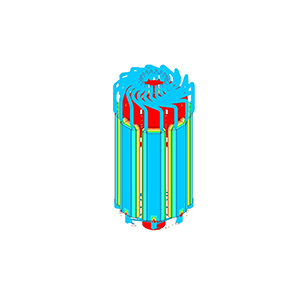 2D axisymmetric and 3D model of cartridge sleeve subjected to internal explosion. 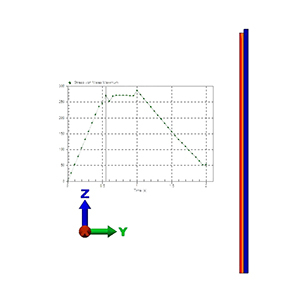 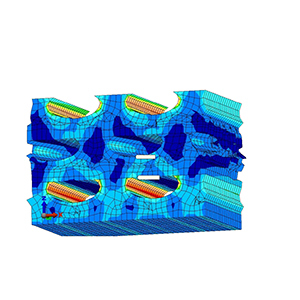 Quasi-static and transient analyses with non-linear material models. 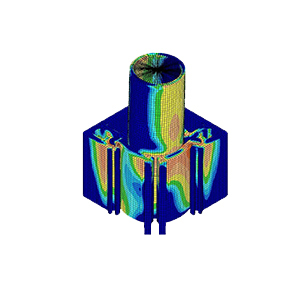 The results highlighted possible reasons for failures that occurred in field. 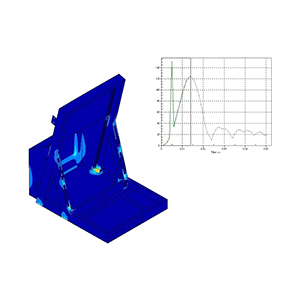 Linear dynamic analyses (modal and shock) of electronics cabinet. Based on the results, recommendations were made to reduce stresses by increasing the natural frequencies, which has subsequently been confirmed by additional analyses. 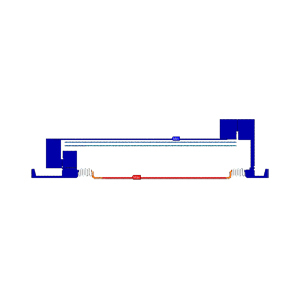 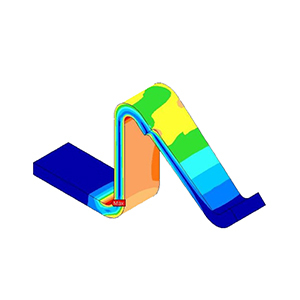 Seismic and buckling analysis of a large gantry crane used to open a heavy autoclave door, with door in different positions. 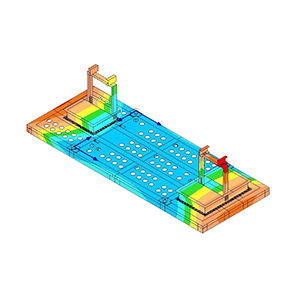 Based on the results, recommendations were made to reduce the high stresses within just on e design iteration. 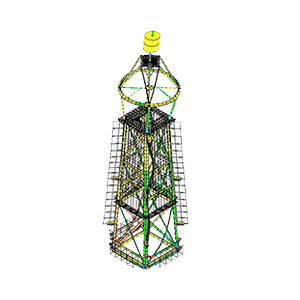 Structure has been initially analysed by Indian consultant, but prototype was much more flexible than predicted. 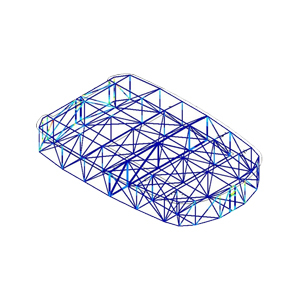 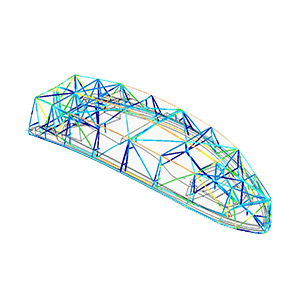 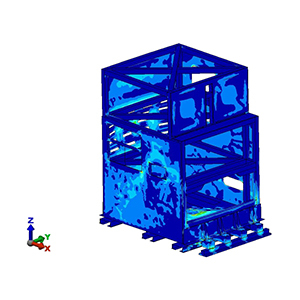 Our FEA exactly replicated the physical deformation measurements and resulted in detailed advice on how to achieve the required stiffness and to improve strength. Non-linear analysis of scraper lip seal, consisting of a metallic spring and an elastomeric seal, subjected to compression between two contact faces. 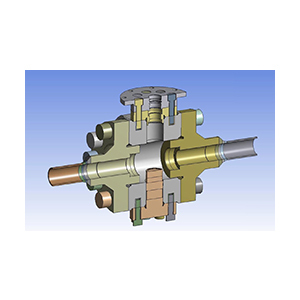 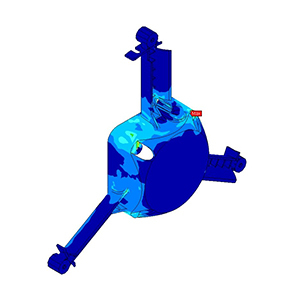 FEA resulted in recommendations given on how to improve the spring and hence increase its life. 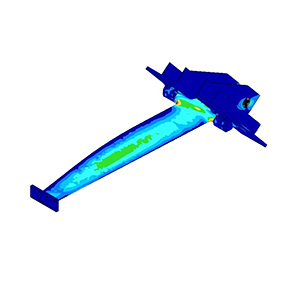 Drop test simulation of plastic aircraft tank for various drop attitudes. 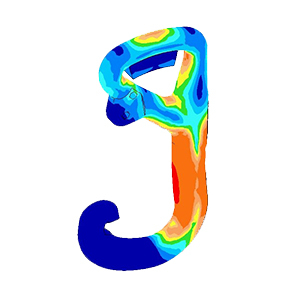 Dynamic behaviour of fuel represented by hydrodynamic elements. 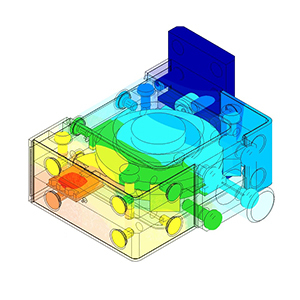 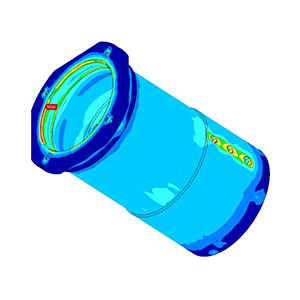 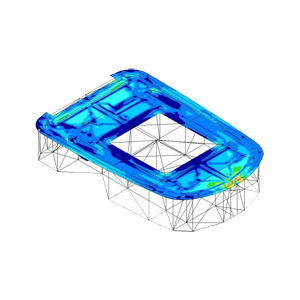 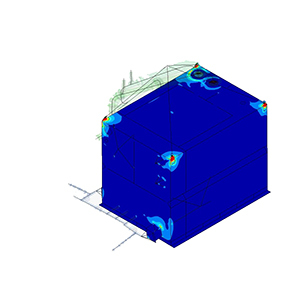 FEA resulted in recommendations on how to improve the tank geometry to avoid bursting. 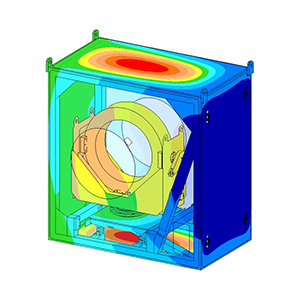 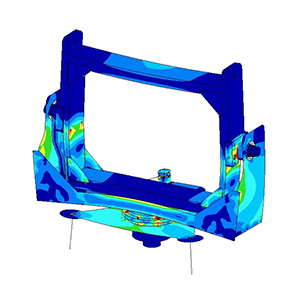 2D fluid flow and heat transfer analysis of rectangular oven used for manufacturing processes. 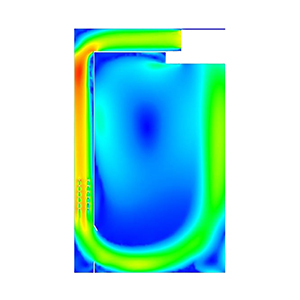 The CFD results confirmed the non-uniform temperature distribution. 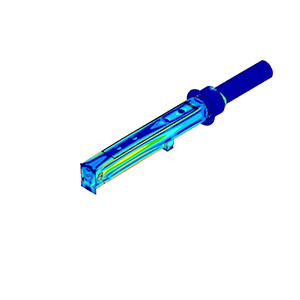 Recommendations were made to improve flow and hence temperature uniformity. 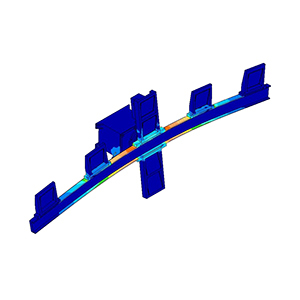 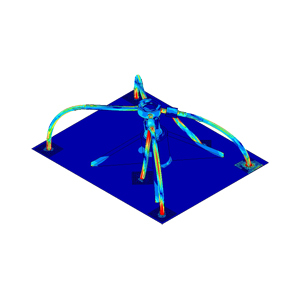 Non-linear static stress analysis with large deformation of an elastomeric bridge support. 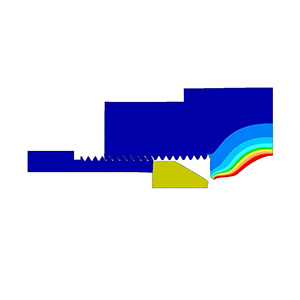 The results highlighted damaging peak stresses which have subsequently been overcome by introducing the recommended geometric modification. 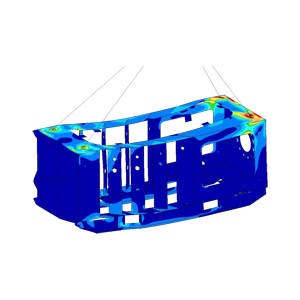 Quarter model of a tank restraint which failed during fatigue testing as a FEA done by different consultants didn’t highlight the design problem. 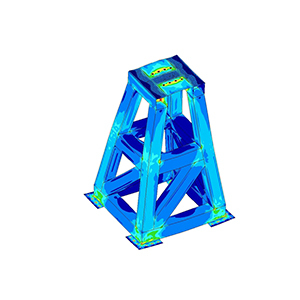 The analysis resulted in recommendations on a completely different design concept, which then proved to withstand the intended loads. 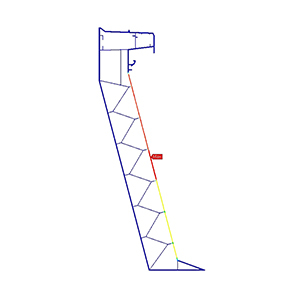 Half model of spreader link plate for rigging of sailing yacht. 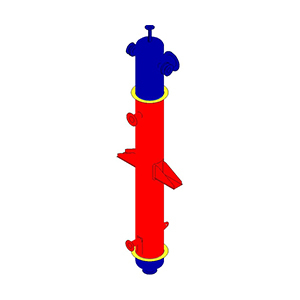 Stays represented as dummy parts. 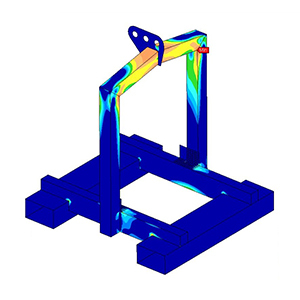 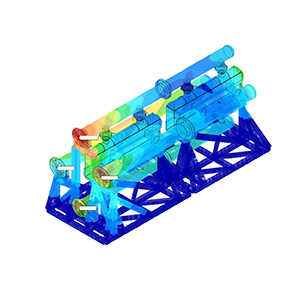 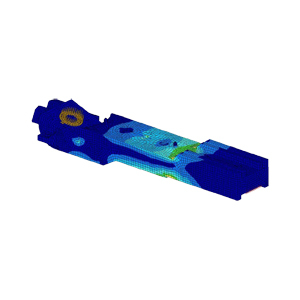 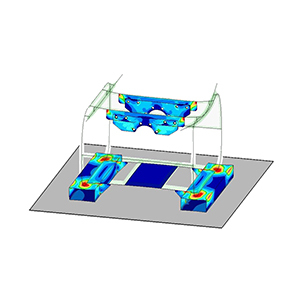 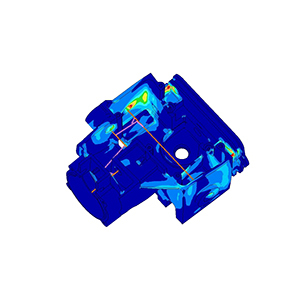 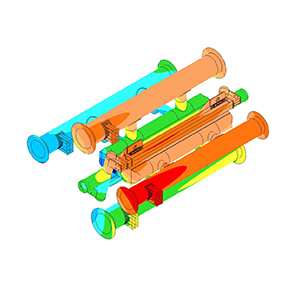 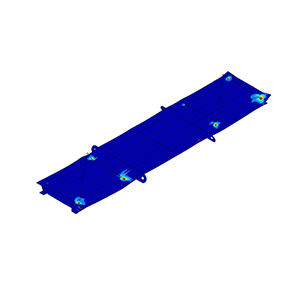 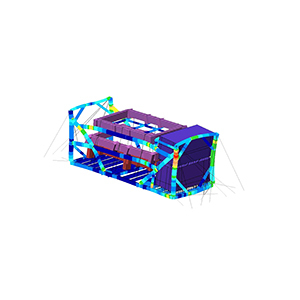 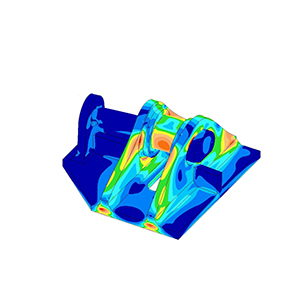 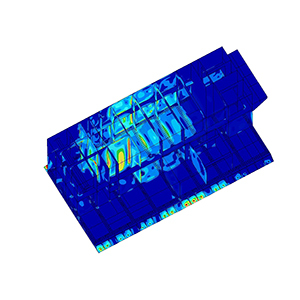 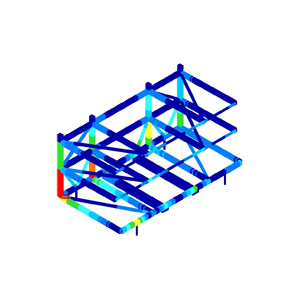 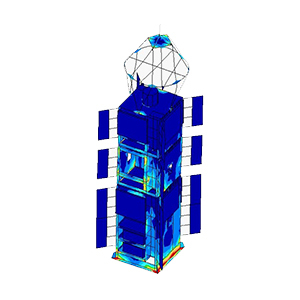 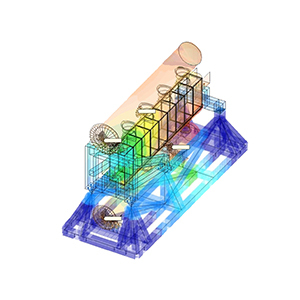 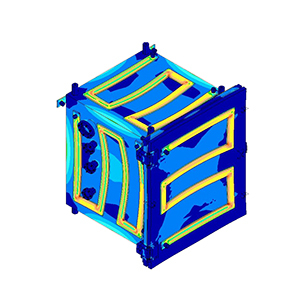 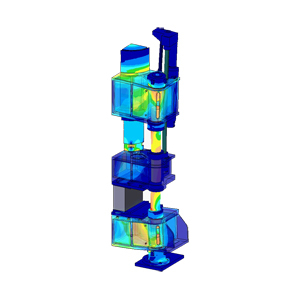 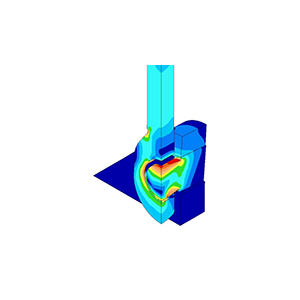 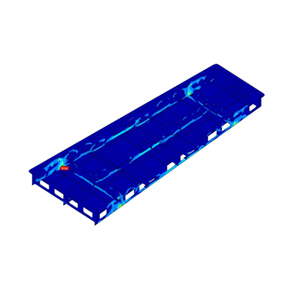 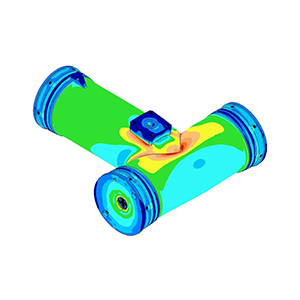 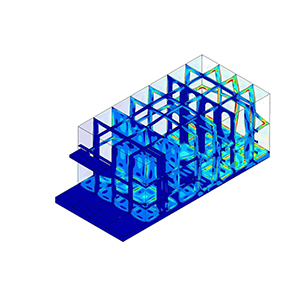 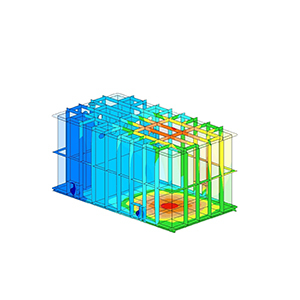 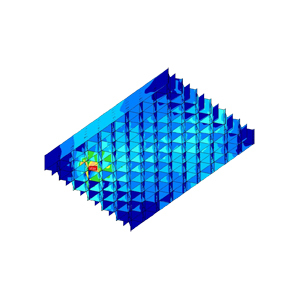 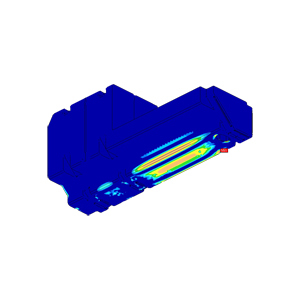 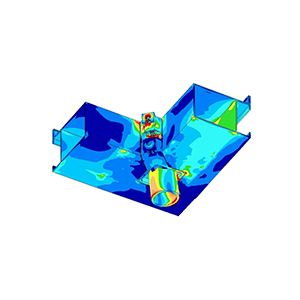 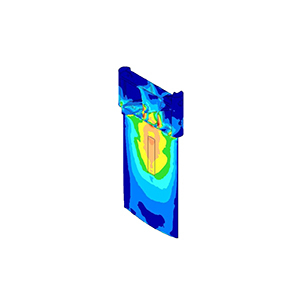 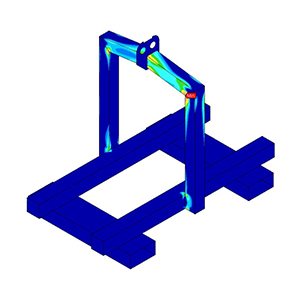 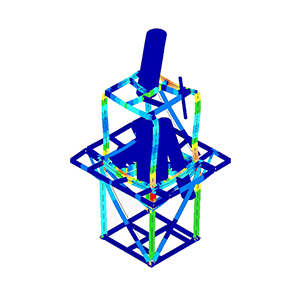 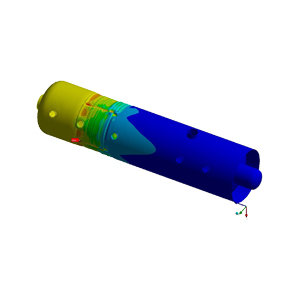 FEA confirmed that the design is suitable to withstand the intended loads. 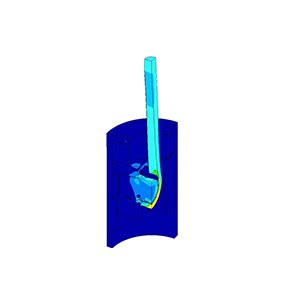 Horizon bar used on a naval vessel subjected to modal analysis, shock and vibration. 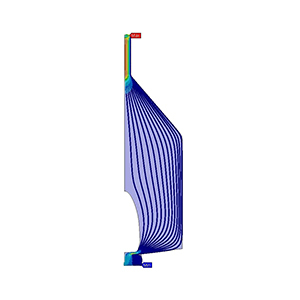 The results helped to eliminate high stresses and avoid resonance between the mechanical system and the electronic stabilisation. 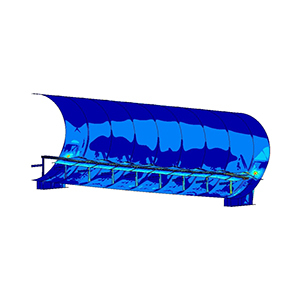 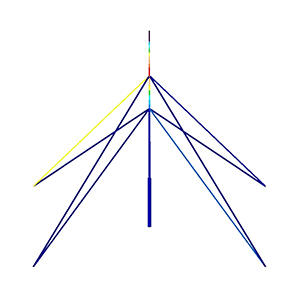 Stress analysis of cradle with payload subjected to transport accelerations. 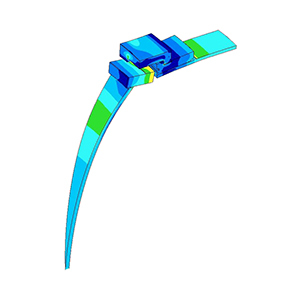 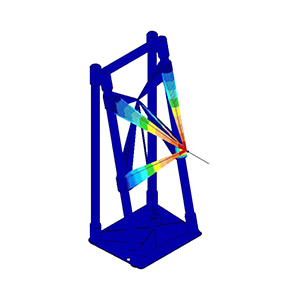 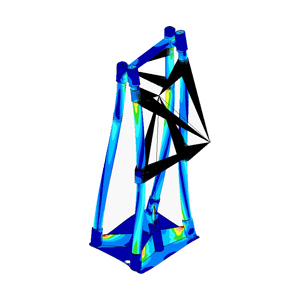 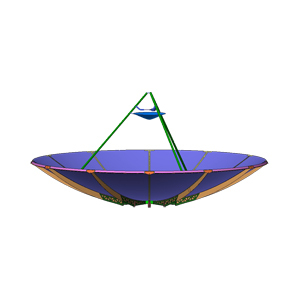 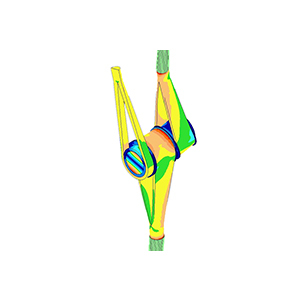 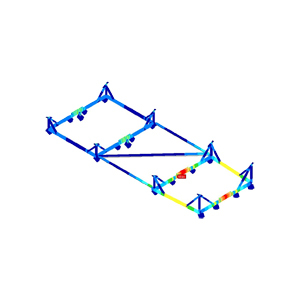 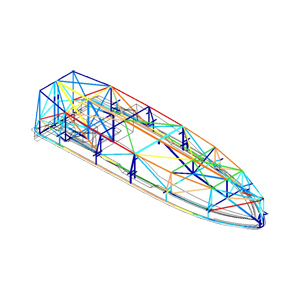 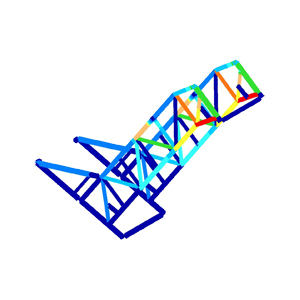 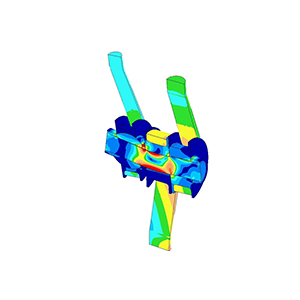 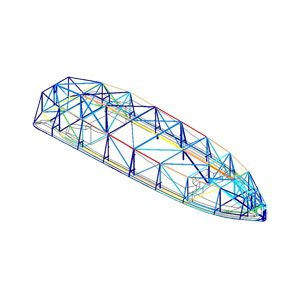 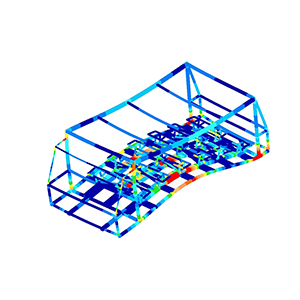 FEA model includes a detailed representation of the lashings used to strap the payload to the cradle, and the tie-down of the cradle to the aircraft. 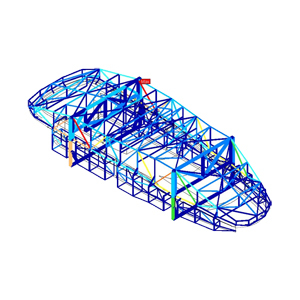 Report identified weaknesses and provided recommendations for improvement. 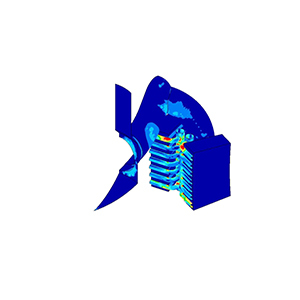 Static stress analysis of a Baler Press subjected to dead weight and internal pressure resulting from compression force. 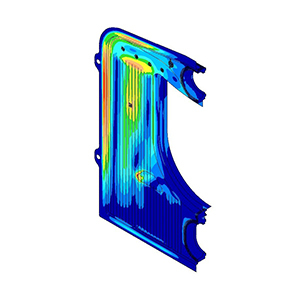 The results highlighted strength issues for a particular load case. 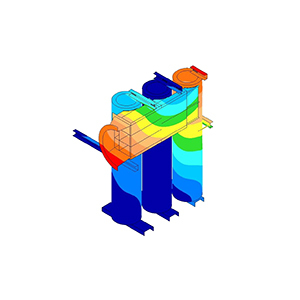 Various sections of a modular industrial boiler have been analysed due to heat transfer, thermal expansion and internal pressure. 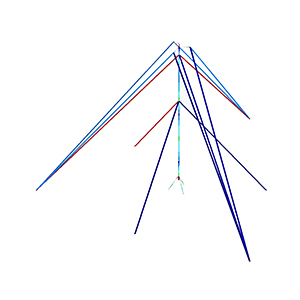 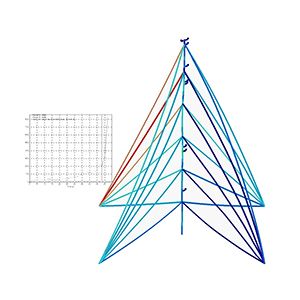 The FEA replicated problems known from field trials. 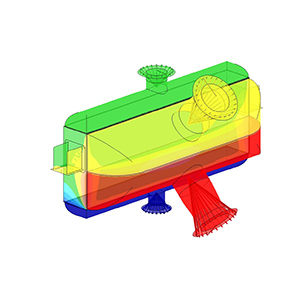 To investigate the effects of possible modifications, intensive CFD analyses have been performed subsequently. 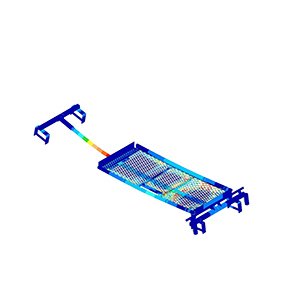 Heat transfer and stress analysis of an assembly of two compact heat exchangers with headers, piping and mounting frame, subjected to a considerable number of load cases and load combinations. 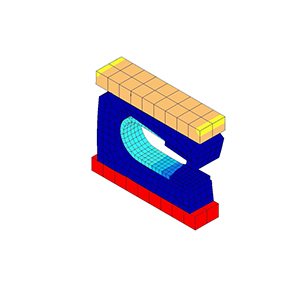 Result superposition used to eliminate the effects of load orientation. 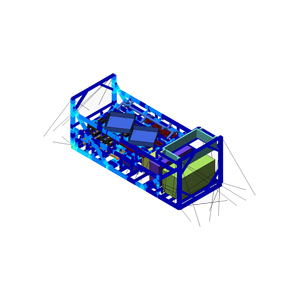 Ten design iterations analysed. 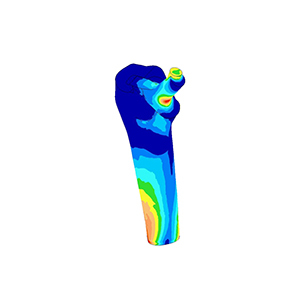 Stress analysis of hip joint implant including detailed bone representation. 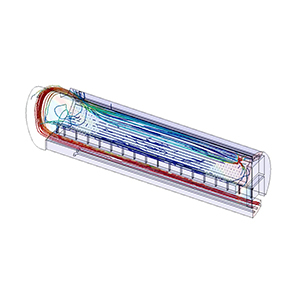 Ten versions of the implant have been compared, with different assumptions for the bone to represent variations amongst the population. 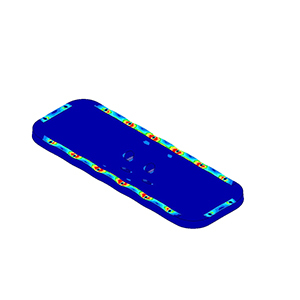 Project included research on bone material properties. 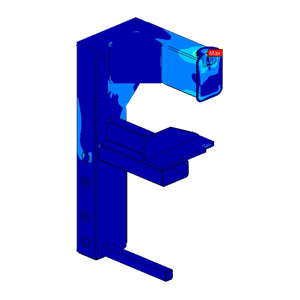 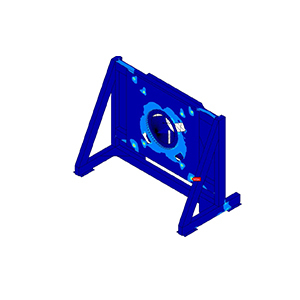 Half model of chair assembly consisting of metallic and plastic parts, subjected to loads according to the relevant codes which have been reviewed as part of the project. 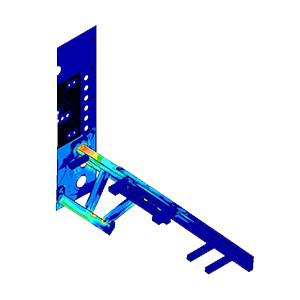 Based on the FEA results, recommendations were given to change the design concept. 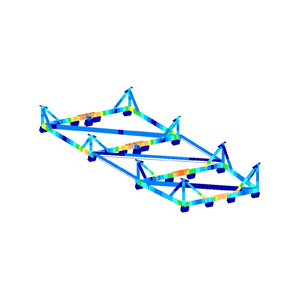 Complex beam and plate element model of crane subjected to modal analysis, seismic and static loads, analysed for various configurations (crab and carriage positions, masses). 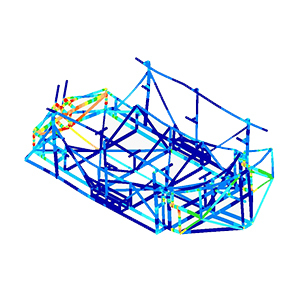 Iterative optimisation of the structural sections performed. 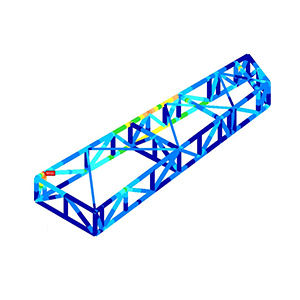 Project included analysis of rail support beams. 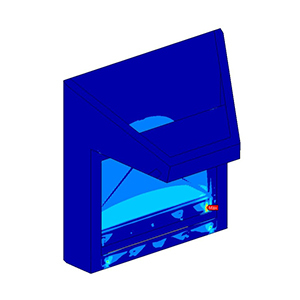 Autotag is a prototype device to count heating cycles of disinfection ovens. 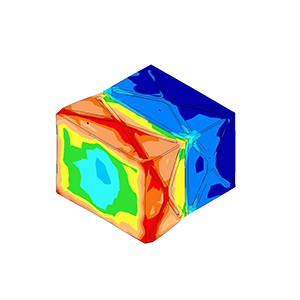 The analysis of the 2D model involved complex contact definitions and non-linear, temperature dependent material properties. 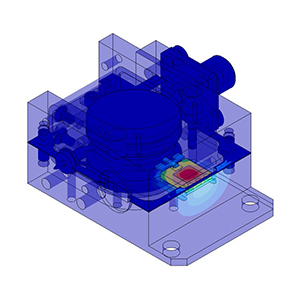 It replicated the physical test results and provided recommendations on how to make the design work. 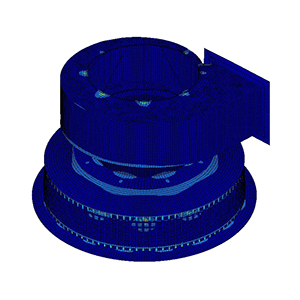 Half model of a large vacuum tank for a research project. 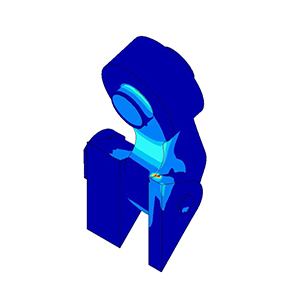 Three design iteration have been analysed, each implementing modifications based on the FEA results of the previous version. 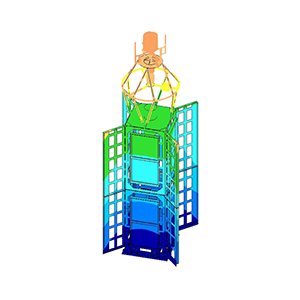 Extensive physical testing on the completed vessel confirmed that the analysis was correct. 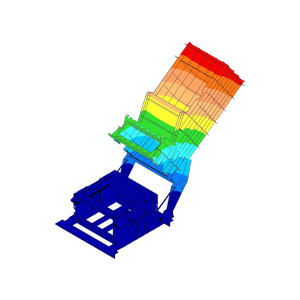 FEA of a themepark ride, carrying up to 30 passengers, subjected to quasi-static and modal analyses. 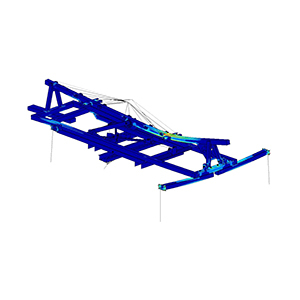 The project comprised of the carriage (shown in image), the motion base and a number of sub-assemblies. 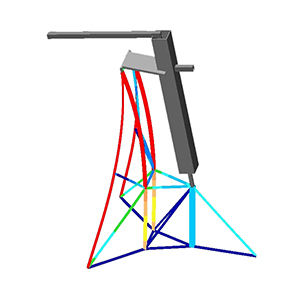 For each, several design scenarios have been analysed. 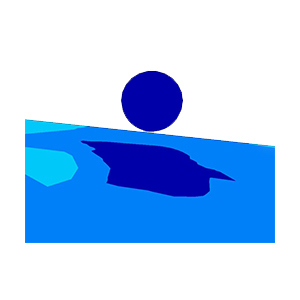 The reports have later been checked by TUV and accepted without any changes. 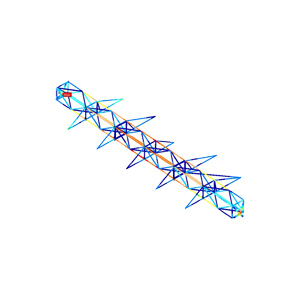 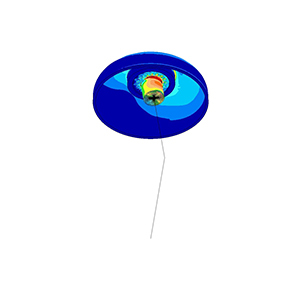 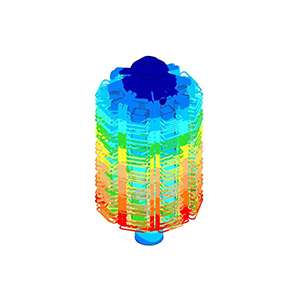 Simulation the structural response of a Cyclone due to internal explosion. 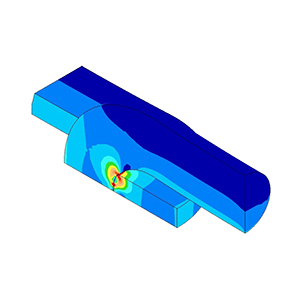 The results indicated localised weaknesses of the design. 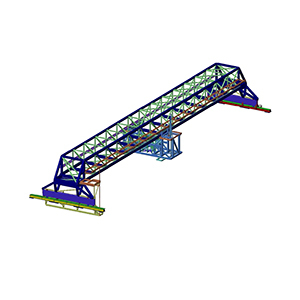 The report provided a number of recommendations on how to strengthen the structure. 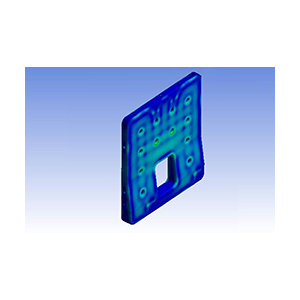 Fully non-linear stress analysis of chain plate assembly, subjected to a gradually increasing tensile load. 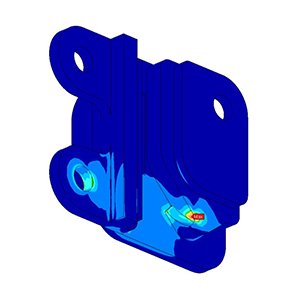 The results showed that the chain will fail well before the intended breaking load, and hence saved expensive prototyping and physical testing. 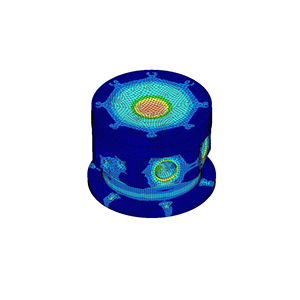 Impact of a particle, represented by a steel ball, on a perforated sheet used for a conical strainer for offshore use. 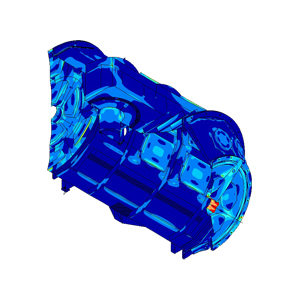 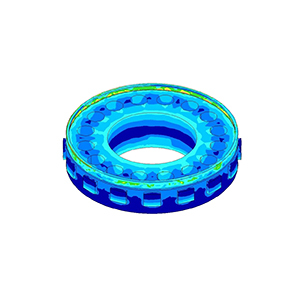 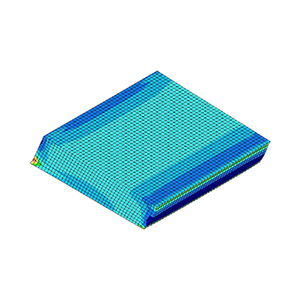 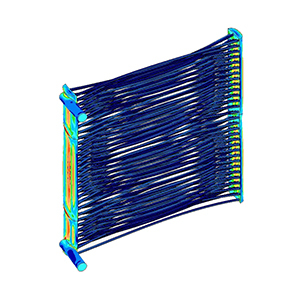 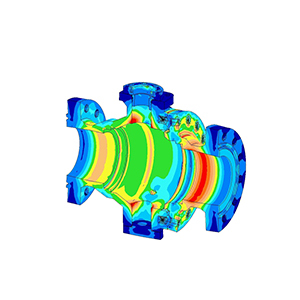 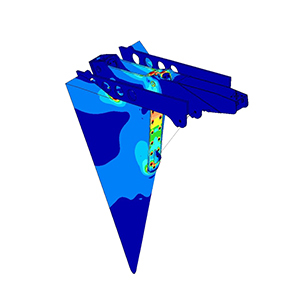 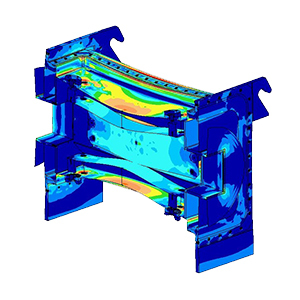 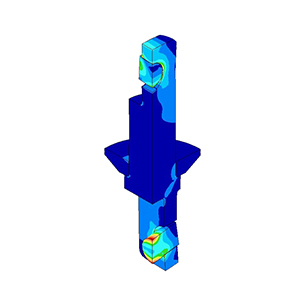 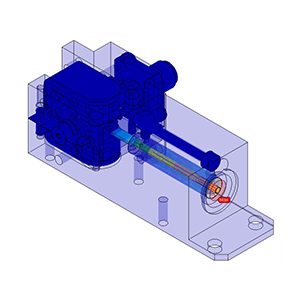 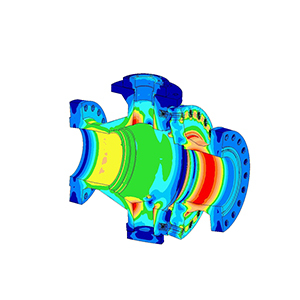 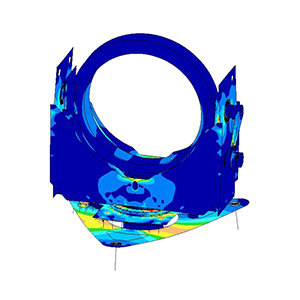 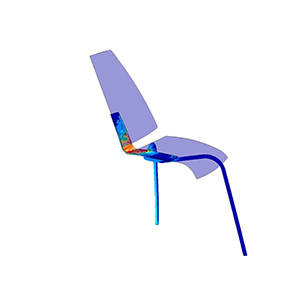 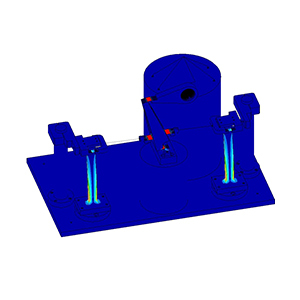 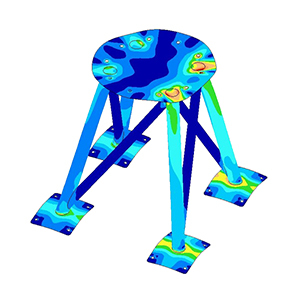 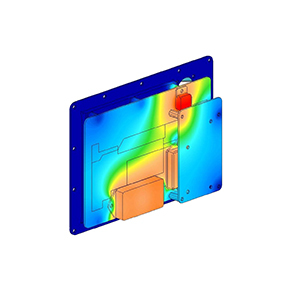 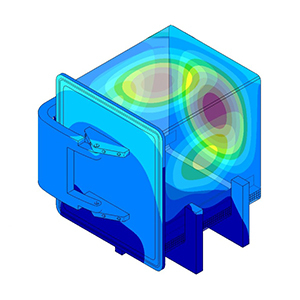 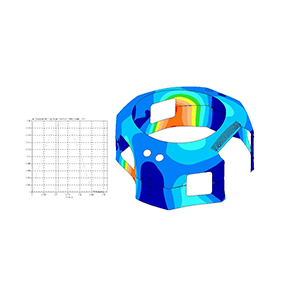 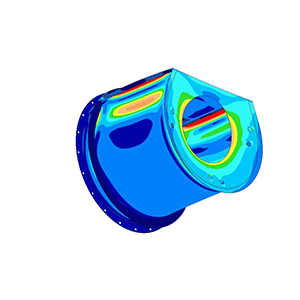 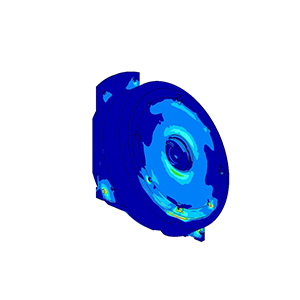 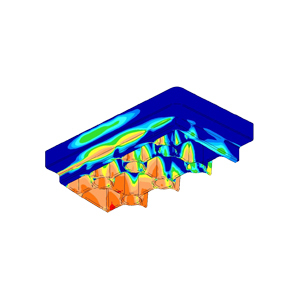 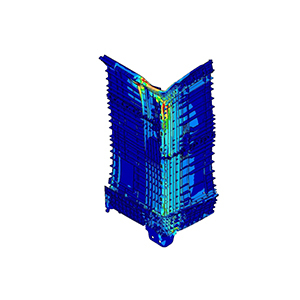 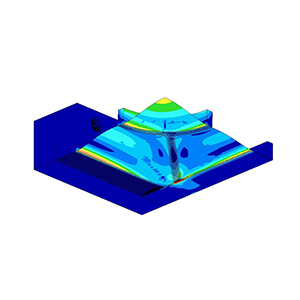 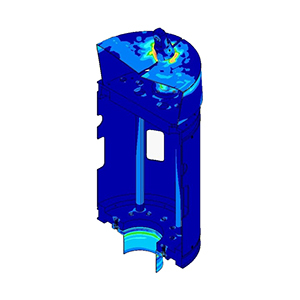 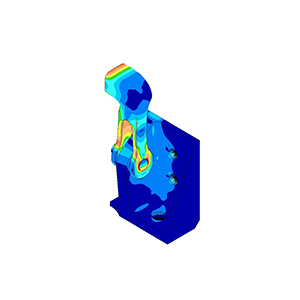 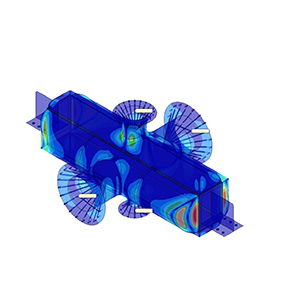 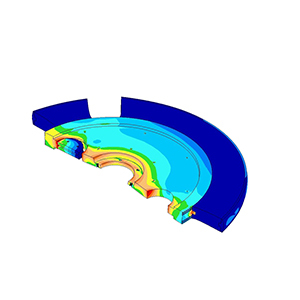 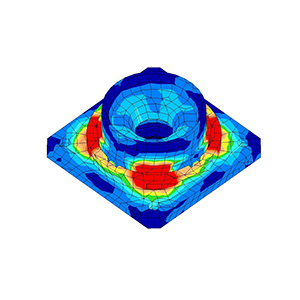 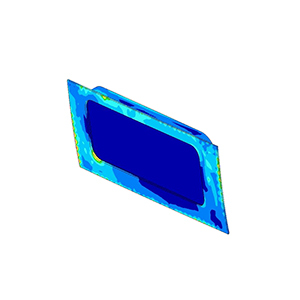 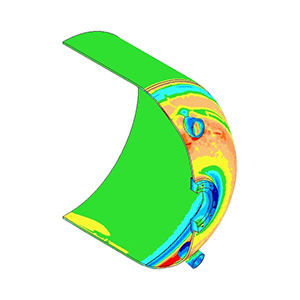 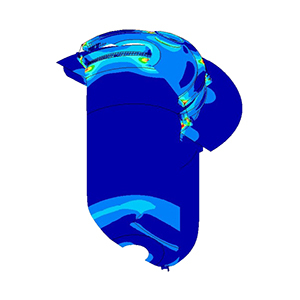 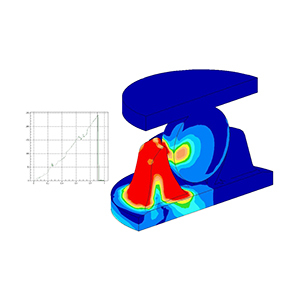 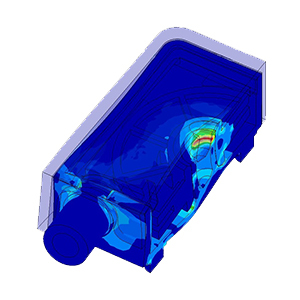 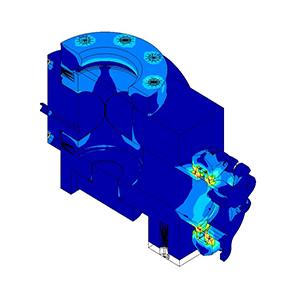 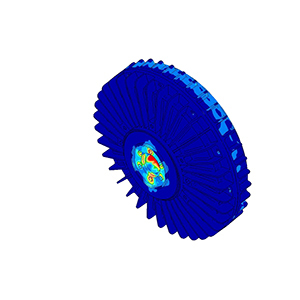 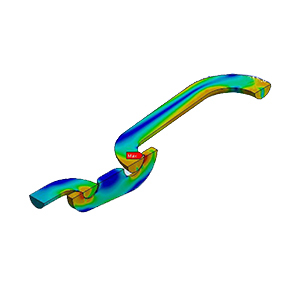 The FEA results confirmed that the strainer will withstand the impact of an object with the size, mass and velocity as assumed for the simulation. 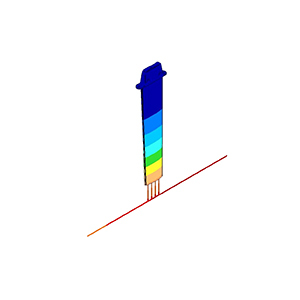 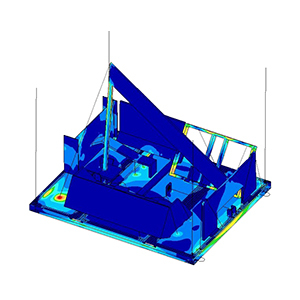 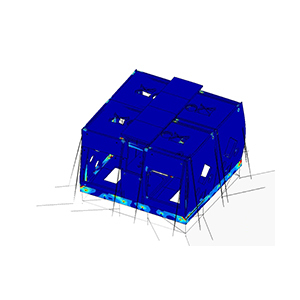 Static stress analysis of a plastic moulding used for a stairlift. 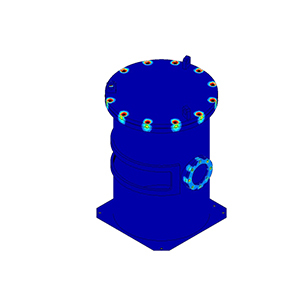 Locally high stresses have been reduced after incorporation of recommendations stated in the reports, thus saving major expenditure on tooling modification. 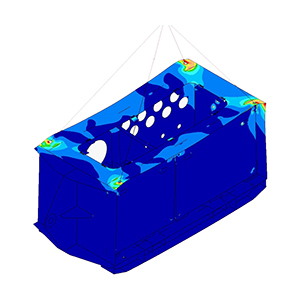 Static stress analysis of a plastic tank for vehicles, restrained by metal straps and subjected to dead weight and hydrostatic pressure due to quasi-static accelerations. 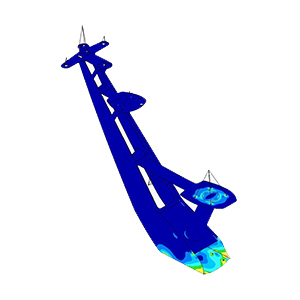 The results showed that a previous FEA done by a different consultant gave incorrect results due to wrong assumptions. 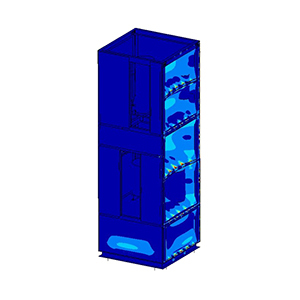 A quarter model and sub-models of a hydraulic press have been subjected to various combinations of dead weight, ram pressure, booster cylinder force and column pre-tension. 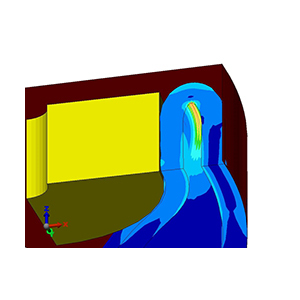 Transient heat transfer and resulting stresses have been analysed as well. 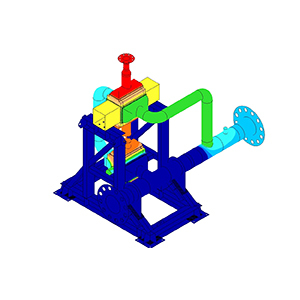 It all confirmed that the refurbished press will be safe for the intended use. 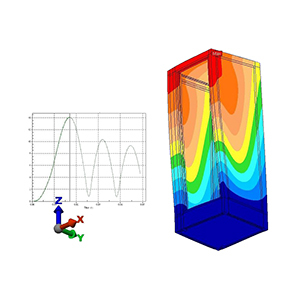 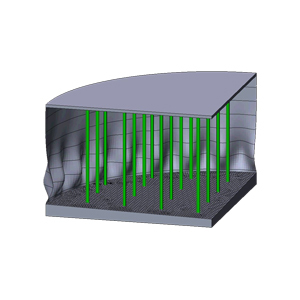 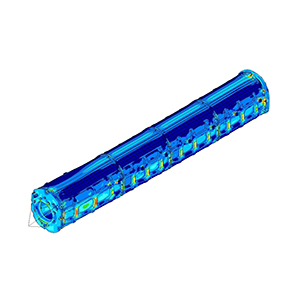 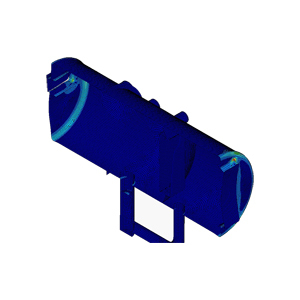 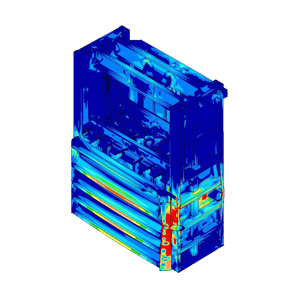 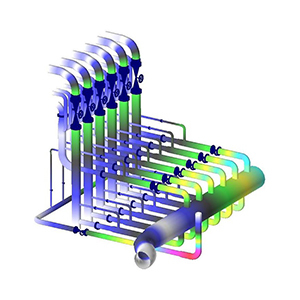 Heat transfer, stress, modal and frequency response analysis of a tubular heat exchanger. 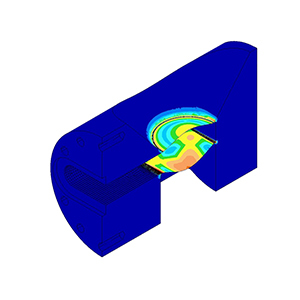 The analyses resulted in recommendations on an improved design. 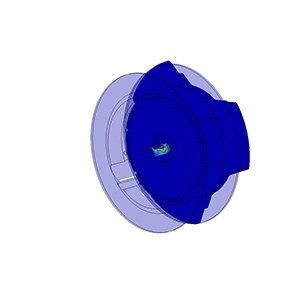 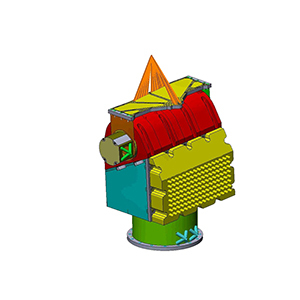 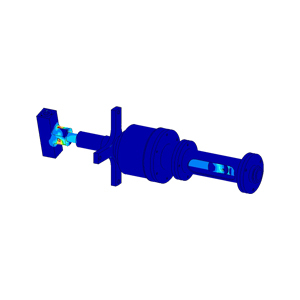 After implementation, a subsequent FEA confirmed that the modified design. 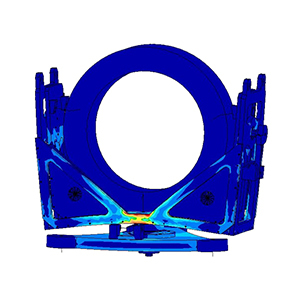 Composite collar assembly of submarine subjected to modal analysis, shock, wave slap and hydrodynamic loads. 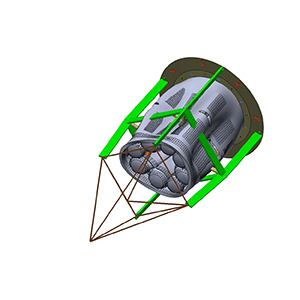 Based on the recommendations given, the design has been modified and re-analysed to confirm the success of the changes. 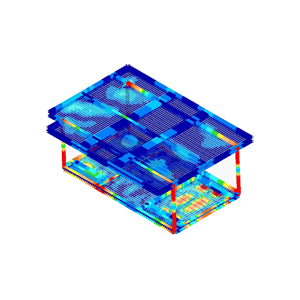 Comparison of different designs for the honeycomb structure of an optical table. 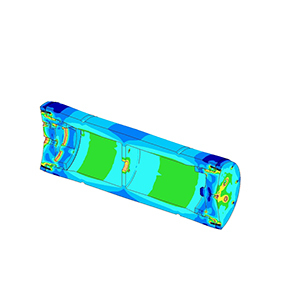 The analysis resulted in clear recommendations on how stiffness is affected, which is the most important feature for the product. 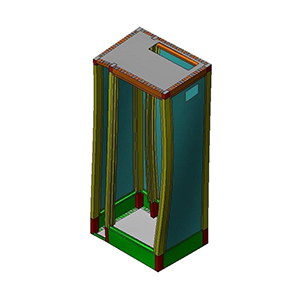 Corner assembly consisting of extrusions and castings used for a modular stage platform system, subjected to several load cases. 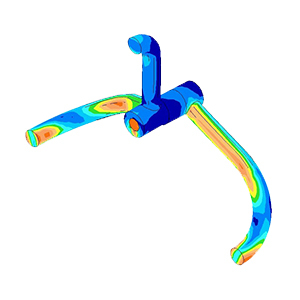 The FEA highlighted issues with the castings and resulted in recommendations for geometric changes. 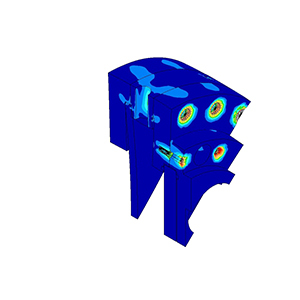 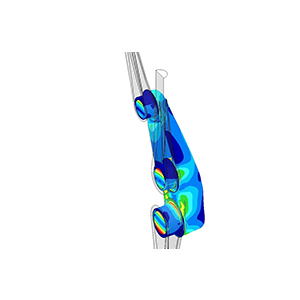 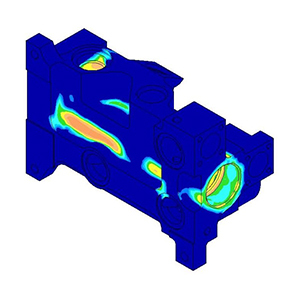 FEA of a trunnion mounted ball valve subjected to internal pressure, analysed for different valve positions. 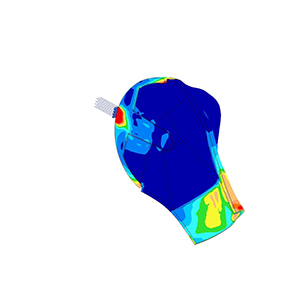 Based on the results, a number of specific recommendations have been made to eliminate stress peaks on several parts. 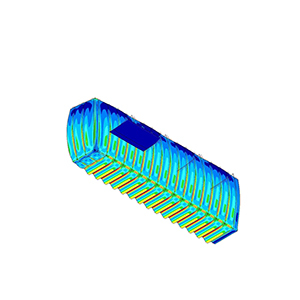 Spring clip used to press electronic components onto heat sinks. 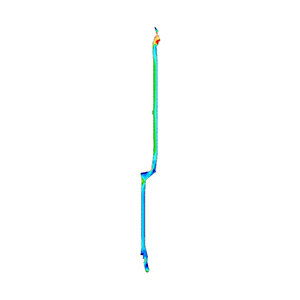 Mechanical failure caused electronic malfunction. 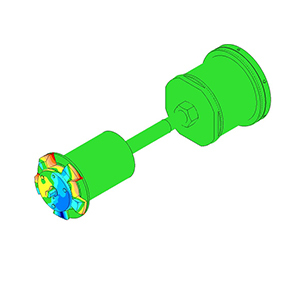 Although looking like a trivial stress problem at first glance, it was complex to find a compromise between compression force and spring rate. 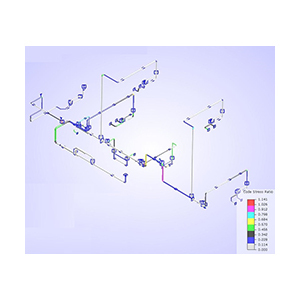 Deliverables included spreadsheet for client to calculate springs for future projects. 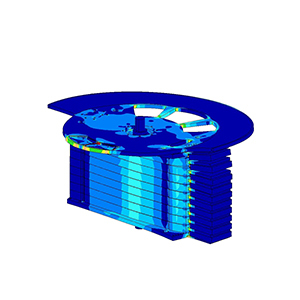 Quarter model of a container lid subjected to a considerable external load. 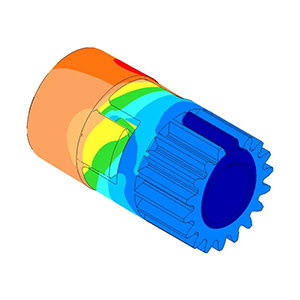 The analysis showed severe weaknesses and resulted in recommendations on how to re-think the design concept. 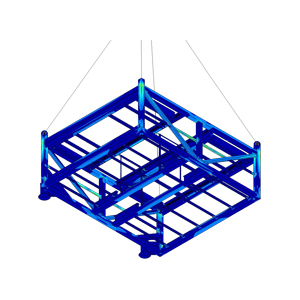 Half model of a lifting frame for different lifting attitudes. 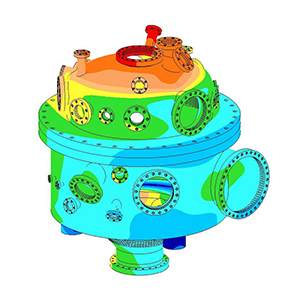 The analysis resulted in recommendations on how to improve weaknesses of the initial design. 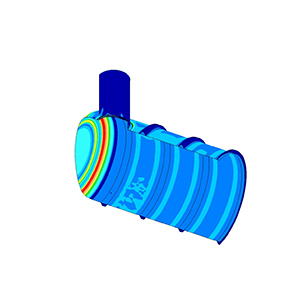 The design modified accordingly then passed the acceptance criteria.